Amongst all traditional Chinese festivals, Mid-Autumn Festival (中秋节) can be said to be the second most significant festival to the Chinese worldwide, after Chinese New Year (农历新年). 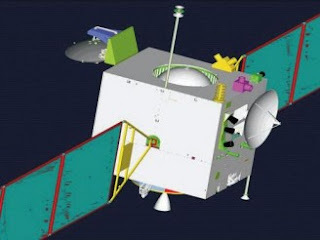 This festival falls on the 15th day of the eighth month annually in the Chinese Lunar calendar, which is usually within the months of August or September in the Gregorian Solar calendar that we usually use everyday. It coincides with the autumn equinox in the Gregorian Solar calendar. On this night, the moon is at its fullest, brightest and roundest. This festival is not only celebrated by the Chinese in China, Taiwan and throughout the global Chinese Diaspora, but it is also widely observed in Vietnam and Japan as well. To the Chinese, this festival is known as Zhong Qiu Jie (中秋节), or literally, Mid-Autumn Festival. 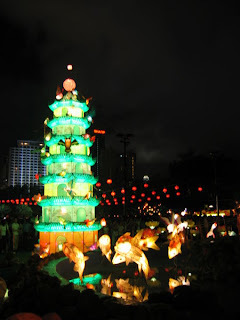 However, it is also known as Mooncake Festival or Lantern Festival to the Chinese in Malaysia and Singapore. 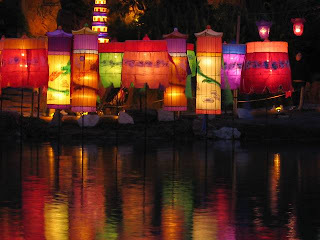 In Vietnam, it is known as Tet Trung Thu, while in Japan, it is known as Tsukimi Festival (月見), which literally means ‘moon-viewing.’ This festival is widely observed in Japan since the Nara (奈良) and Heian (平安) Periods (710 – 1185 A.D.). Mid-Autumn Festival is celebrated in many ways by the Chinese. 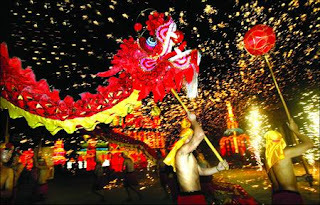 Some of the customs of this festival include viewing the full moon together, eating mooncakes and pomeloes under the moonlight, gathering dandelions leaves and distributing them to others, as well as performing fire dragon dances. 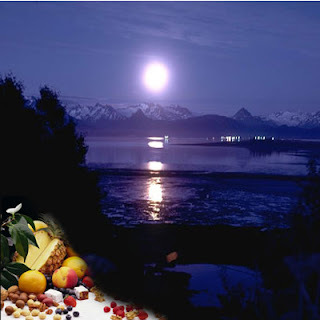 All these activities are done under the full moon of the night. On this night, children often carry bright lanterns and walk around with them under the moon, as it is believed that the brightly-lit lanterns are able to scare away demons and evil spirits. A notable thing in this festival is the presence of the special Chinese delicacy known as the mooncake (月饼). As the name suggests, it is round in shape so as to resemble the full moon. These mooncakes are made only during the month of this festival and cannot be seen in any other parts of the year. Some families buy ready-made mooncakes for the festival while others prefer to make these mooncakes themselves. Mooncakes are made mainly of bean paste, with melon seeds, lotus seeds, almonds or nuts embedded within the paste. Some mooncakes have extra flavourings added in the bean paste, which enhance their taste and sometimes even change their colours. A salted duck egg yolk is added in the centre of the mooncake, while flour is used to make the golden brown crust of the mooncake. The upper surface of the mooncake is frequently stamped with Chinese characters carrying good wishes and messages of prosperity, longevity and happiness. Indeed, without this delicious Chinese delicacy, the Mid-Autumn Festival is rendered incomplete and somewhat insignificant. The popularity of eating mooncakes dates back to many centuries ago in Imperial China, throughout many dynasties. 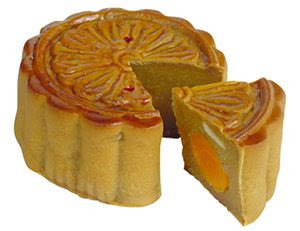 A popular folklore pertaining to mooncakes during this festive season involves the overthrow of the Yuan Dynasty (元朝) (1271 – 1368 A.D.) and the establishment of the Ming Dynasty (明朝) (1368 – 1644 A.D.). 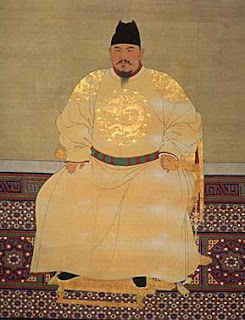 The period of the Yuan Dynasty saw the rule of China under the Mongols, which created great dissatisfaction amongst the Chinese people, having to live under the rule of a foreign power. During the Yuan Dynasty, the Mongol rulers had banned all forms of public or group gatherings so as to prevent the Chinese people from grouping together to plan and stage a rebellion. The most widespread folktale pertaining to the Mid-Autumn Festival is the Chinese mythology of Chang Er (嫦娥). In this mythology, Chang Er is said to be a very beautiful lady living during the era of the Zhou Dynasty (周朝) (1046 – 771 B.C.). She was said to have flown to the moon on the night of the 15th day of the 8th month when the moon was full and at its brightest. Hence, the Mid-Autumn Festival is said to have come about in commemoration of Chang Er flying to the moon and residing there ever since. There are various versions of this mythology, each of which varies from one another. 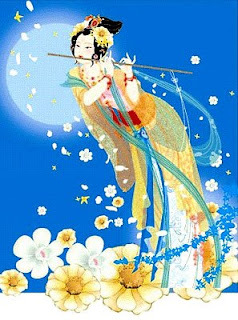 However, if you would like to know the full version of the story, feel free to view the story that I have written, entitled ‘Chang Er, Princess of the Moon.’ I have written this story based on one of the original versions of the Chinese mythology. 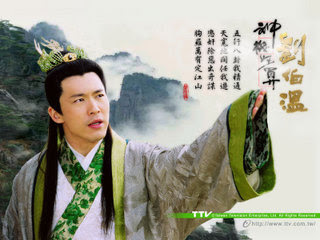 Spiritual wise, Chang Er is revered by Chinese Buddhists and Taoists as a moon goddess. During the Mid-Autumn Festival, many Chinese Buddhists and Taoists will burn incense and offer sacrifices and food to her, praying for happiness, longevity, prosperity and success in life. Indeed, viewing the full moon on the night of this festival brings a special meaning of worship and reverence for the moon goddess amongst Chinese Buddhists and Taoists. Mid-Autumn Festival is also celebrated by some Chinese Christian communities in China and worldwide, but it is observed in a slightly different manner. Most of the traditional customs of this festival remain amongst these Chinese Christian communities, but no worship or reverence is offered to the moon goddess. Instead, additional practices include singing of Christian hymns under the moonlight, as well as praise and worship services outdoors, appreciating the roundness of the full moon which reflects unity amongst family members, friends and within the church.